Abdel Aziz, a former military officer was elected president in 2009. He has previously been part of a military coup in 2005 and leading a military coup in 2008 which deposed the then democratically elected president, President Sidi Ould Cheikh Abdallahi. As far as choosing one’s diplomatic partners Mauritania is an interesting choice. 90% of its landmass is part of the Sahara desert and more than 44% of the population live below $2 a day. Mauritania also is widely regarded as being one the worst violators of human rights in the world. Most damningly, it has been described as the “slavery’s last stronghold” in the world. The people estimated to be held in slavery is proportionally the highest for any country and slaves include opponents of the government. Some estimates suggest as many as 10% to 20% of the population (340,000 to 680,000 persons) is enslaved. It only outlawed slavery in 1981 and only criminalized the practice of slave owning under international pressure in 2007. So far there has only been 1 conviction against the widespread practice. In many cases “black moor” ethnic groups are slaves of the “white moor” groups and have been for generations. Other human rights concerns include child labour. The current regime’s penchant for close ties with dubious allies (with both virtue and usefulness) has been demonstrated before. 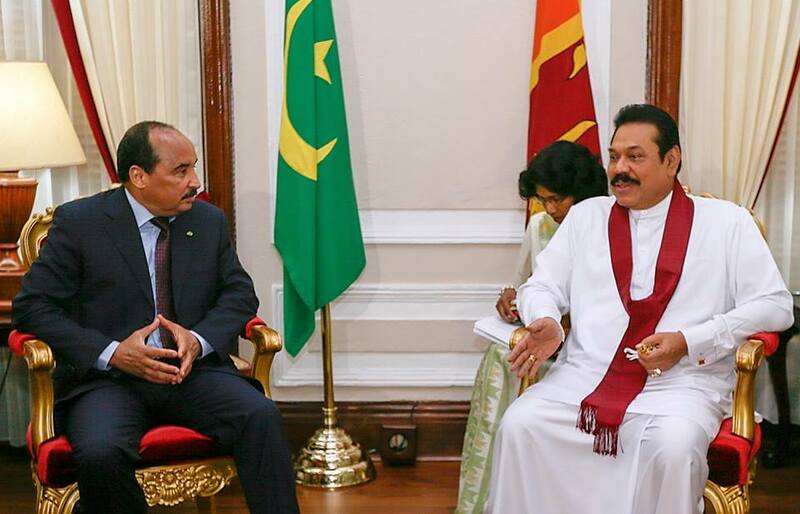 However, this may represent a new low for the floundering foreign policy of the Rajapaksas.